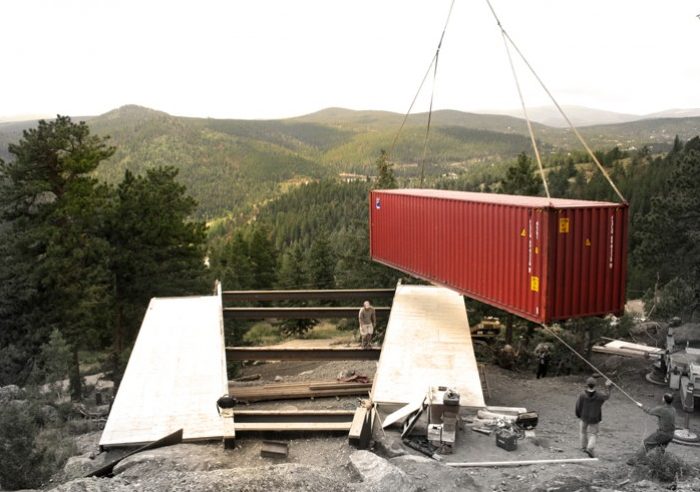 I found it very interesting to see this innovative off-the-grid (OTG) shipping container home design. In the past, these shipping containers were only meant for over-road, over-rail and over-ocean cargo of bulky goods. 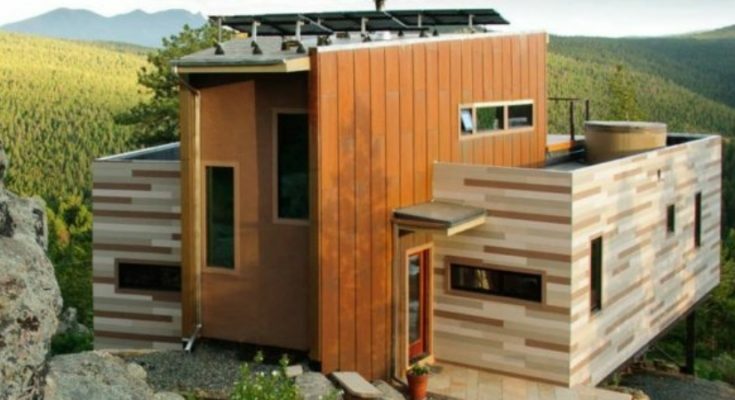 Nowadays, they are being turned into a dwellings that are intended to answer the need for sustainable, cost-effective and ecological abodes. 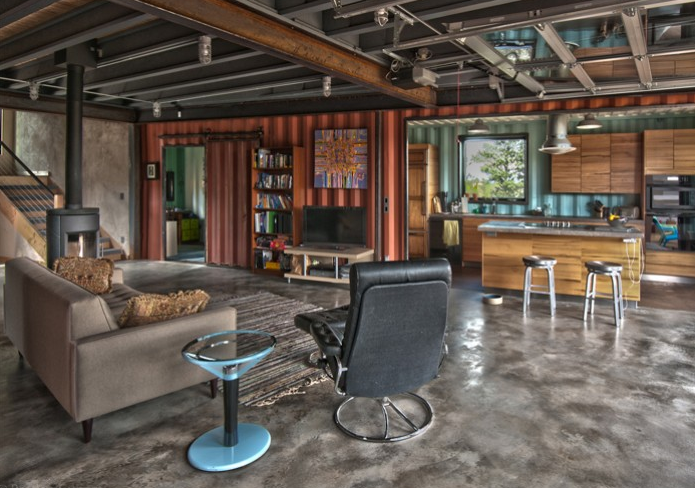 he kitchen and bedrooms are made from shipping containers while the living and dining areas as well as the storage aren’t. Even though the house is not entirely made from shipping containers; the design is remarkable for it runs completely off-grid. An exceptional feature that these houses have is the non-automated design styles which include cooling and green roofs and the windows minimizes solar heat gain. Also, the external layer of the house can moderate solar heating. Another feature of Studio H:T’s shipping container houses is the pellet stove and photovoltaic solar power. They work to provide power for the entire home. The above features of these houses are designed to bring more prospective home owners to avail a more reasonably priced, maintainable and flexible living preferences. 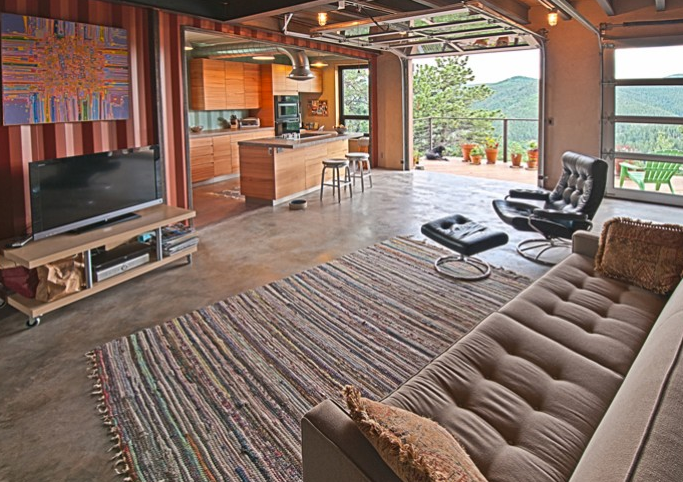 Altered shipping containers also support unconventionality from amenities, low-impact living plus mobility. Definitely, they are primarily constructed as homes but they are also good as a getaway housing, as a guest house or even as an emergency accommodation. 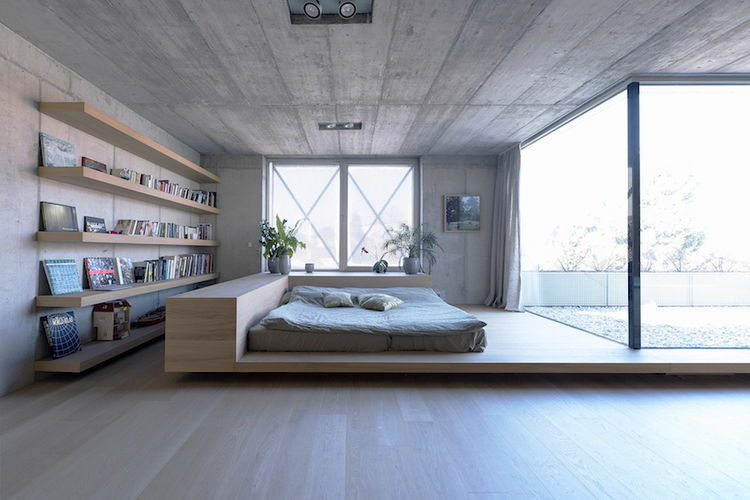 To see more of Studio H:T’s work, find them in our Prefab and Shipping Container Home Designers and Builders Directory (click here).